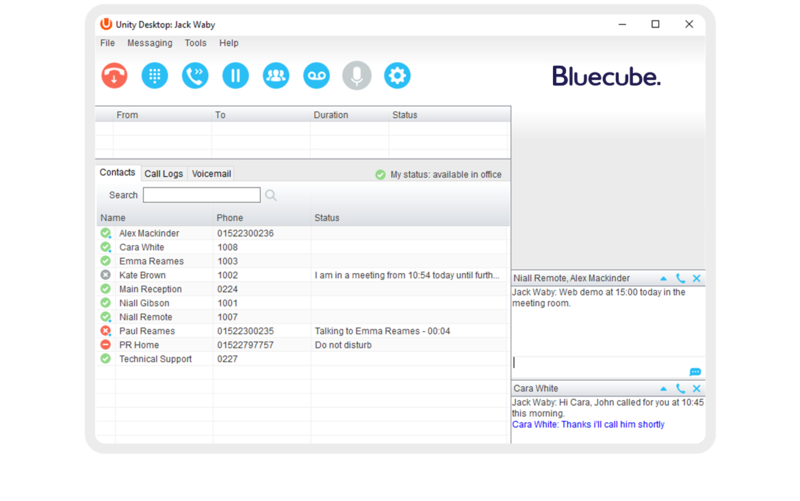 Silverline cloud voice from Bluecube is rich in functionality and provides a future-proof solution for your business at great value. Bespoke packages and call bundles ensure more effective cost management, using the solution is simple through our Unity desktop & mobile call control software. It’s more than just a call. Silverline cloud-based VoIP phones offer a range of powerful features to allow you to do more with your landline numbers. Keep your original business number or choose from a huge range of local, national and non-geographical numbers. Set up personalised voicemails and manage your settings from the app at anytime, from anywhere. Choose from a wide range of desktop phones, conference phones and headsets. See all your call, voicemail and messaging activity live from any device. Set up backup numbers to automatically transfer calls in the unlikely event of no internet connection. Synchronise your entire call history, contacts and messages across all your devices to access anywhere. Send calls to another number or direct to voicemail when out-of-hours or otherwise busy. Link into a compatible CRM system to get instant access to contact details when a customer calls. Create marketing messages that can be uploaded straight to your phone system. Save your clients' numbers in an easily accessible address book that syncs with your desktop phone and mobile phone. Integrate with a wide range of popular CRM systems so all your tools can work together. Introduce live calls to colleagues before you transfer from your desktop or mobile phone. Select which contacts and address books to share between teams & colleagues so details are available to everyone. Instant Messaging between colleagues and teams which can be accessed from any device. Perfect for training and quality monitoring, call barging allows you to listen in to live calls. Manage high volumes of queued calls by reassigning agents to busy queues when required. Remote workers can securely connect directly to their office phone and contact list using any home internet connection. Add and remove users instantly with an easy-to-use management system. Add users to team numbers at a click of a button to help with workflow. Improve customer interactions and service levels with our management system. Set up a failover that automatically kicks in should blackouts occur, ensuring phone calls are always answered. Instantly lock-out users when devices go missing. 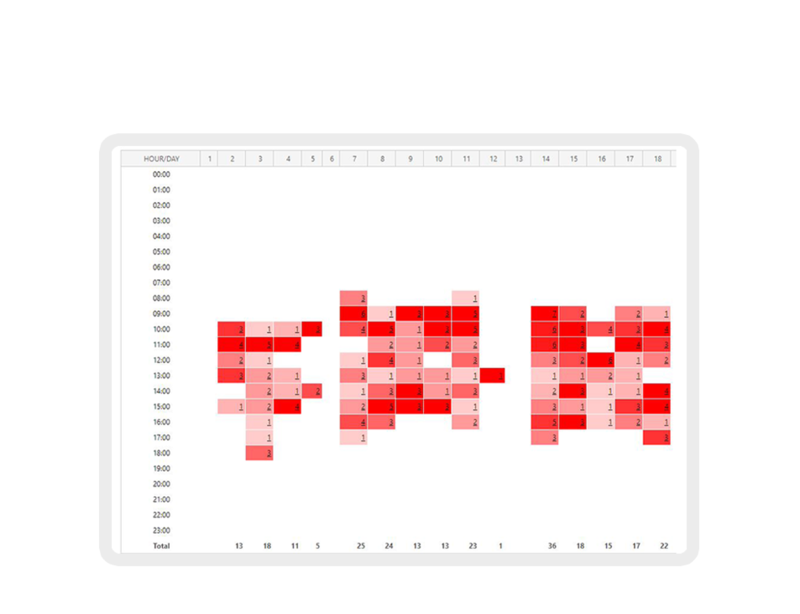 Live and historic call reporting to monitor and track user activity.